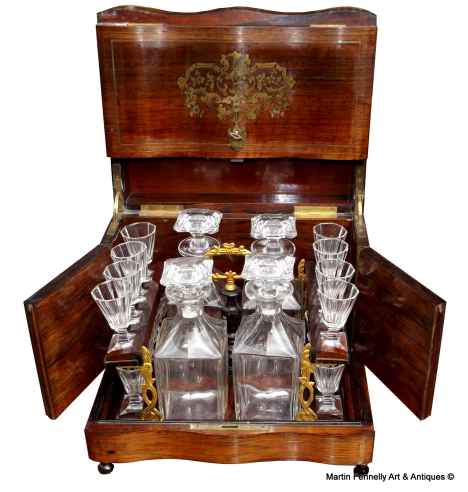 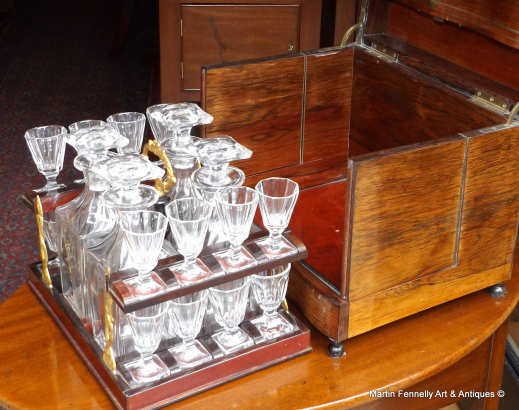 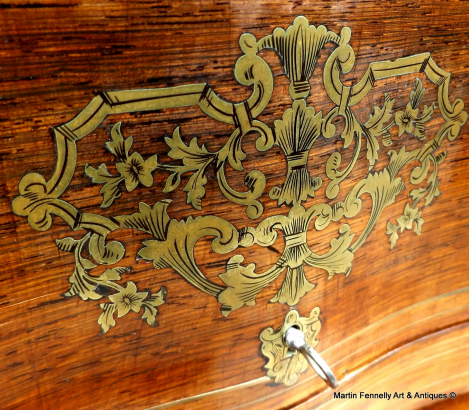 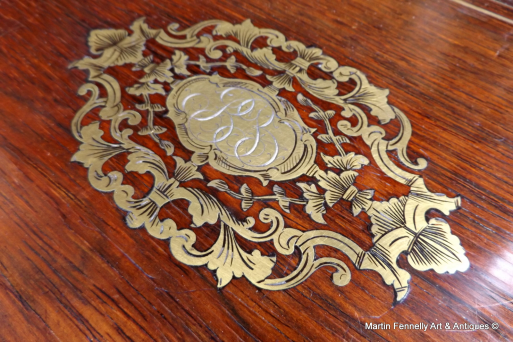 This Classic French Tantalus dates to Circa 1880 and is in great condition. The Complete set of 4 Decanters and 16 Glasses are present. 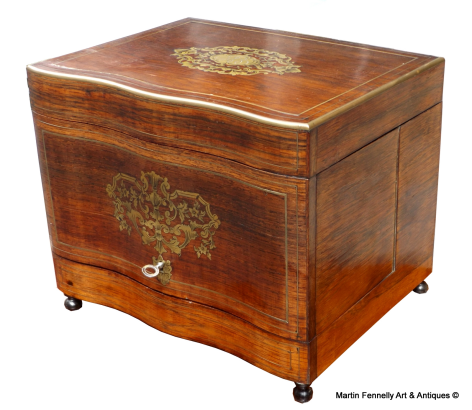 The Hinged front opens back to reveal this stunning collection and the sides swing out to give a full view. The entire set of decanters and Glasses can be lifted from the Case to be placed on a table and stand free.The Box is made from The finest Rosewood with Superb and very fine Brass Inlay. 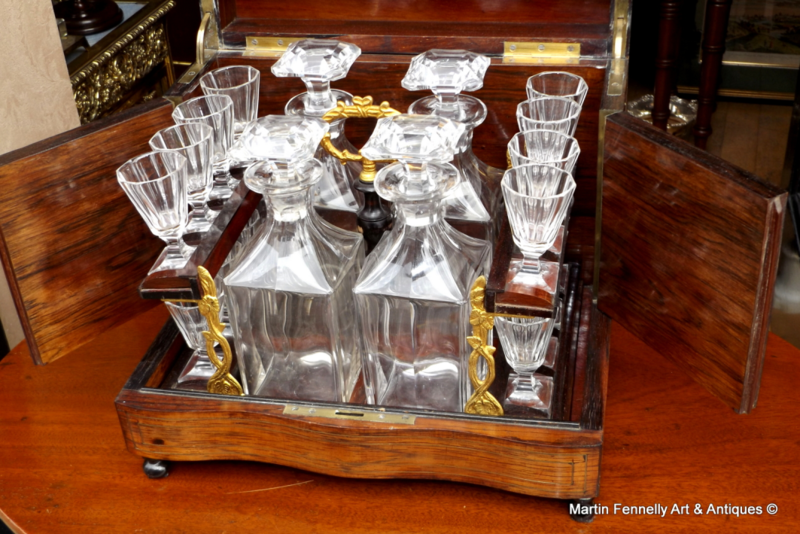 The Box lid is rimmed with Brass and without doubt this is the best Decanter set to Grace any Antique Store in Ireland for quite sometime.